Another excellent book for reluctant readers. 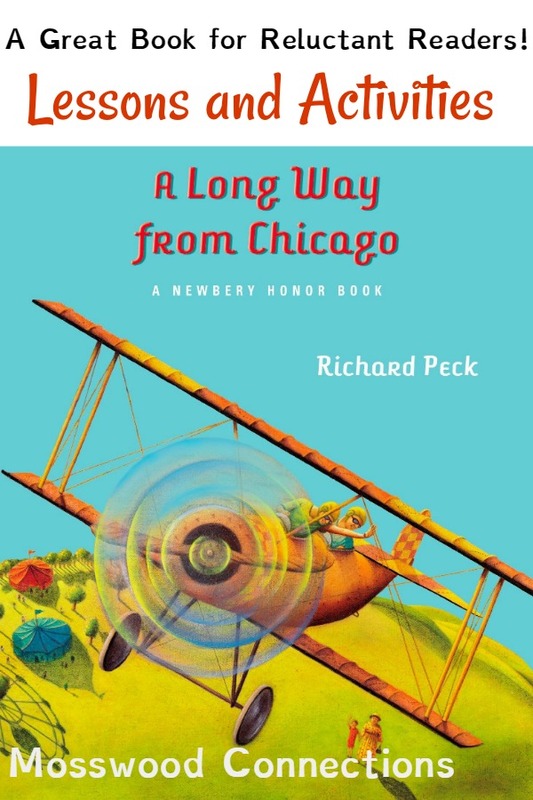 A Long Way from Chicago by Richard Peck is written as a series of vignettes that are funny snapshots of life in rural America during the depression. The humor, simple language and short story format make this book accessible to struggling readers. It’s an enjoyable read that exposes children to what life was like during the Great Depression. But Grandma Dowdel is no ordinary Grandma, and these two kids learn to always expect the unexpected. This town that they first saw as sleepy and dull; transformed in their eyes all through helping Grandma carry out her plans. She squeezes off a couple of rounds from her shotgun – right in her own living room. She teaches a family of bullies a lesson they won’t soon forget. She strong-arms a banker into returning something rightfully belonging to someone else – and demands a few bucks for the grandkids for good measure. Over the years, and beneath that steely exterior, Joey and Mary Alice start to see a whole new and surprising side to Grandma Dowdel. And they begin to look forward to each summer adventure, always wondering: what will she be up to next? Have your own pie contest. If you are really ambitious you can have the students literally make pies and then have a tasting party or you can have them draw their pies and explain why their pie should win. Grandma loves to gossip and spread rumors. Play the game of telephone and discuss with the kids how information can change when people repeat what they think they heard. How is gossip harmful? How can a rumor be used to affect positive change? Grandma wants to make the world a better place. At least, her little town. Make it a class project for the children to think about a way that they could help make their community a better place and then put a plan into action. It could be as simple as making cards for a retirement home or making and distributing hygiene kits to homeless people. The Depression: Tell the children that they have $40 to feed a family of four for one week. What will they buy? The pranks must be harmless. The pranks cannot be mean or designed to make anyone feel bad. Most importantly, all pranks must be cleared by the teacher (or adult in charge) before Prank Day. Here is a list of 10 harmless pranks. Complete a 5 W’s Chart. Identify conflict in the story. Have the students read the chapter titles and then do a prediction and inferences worksheet. 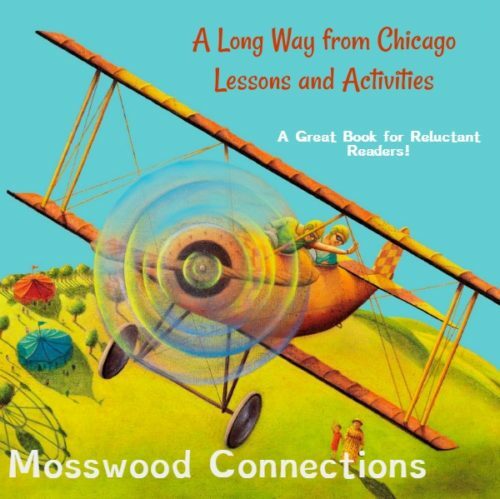 For standards, literature circle questions, and vocabulary download our Teacher’s Resource for The Long Way to Chicago. Write about something funny that happened during your summer vacation. Compare your experience with Joey’s. Cities vs. Small Towns. Compare and contrast life in the city and country. Where do you live? Would you rather live in Chicago or a small town in Illinois? Why? The children spend summers with their grandmother. Write your own parent or grandparent poem. Or write a story about an older person who you admire. Newspaper Article; Pretend that you are a journalist. Write an article about Grandma based on one of the chapters. Chicago during the 1920’s was quite famous for its notorious gangsters. Your task is to investigate a mobster from the 1920’s and write a brief report on him/her. You can write about the gangsters or you can write about how law enforcement responded. Talk Show: With two or three other students prepare to participate in a television talk show featuring characters from this chapter. Choose an interesting character from the book to interview for your show. Act out your interview in front of your class. The Great Depression: Have the students research The Great Depression and the write a paper about it.